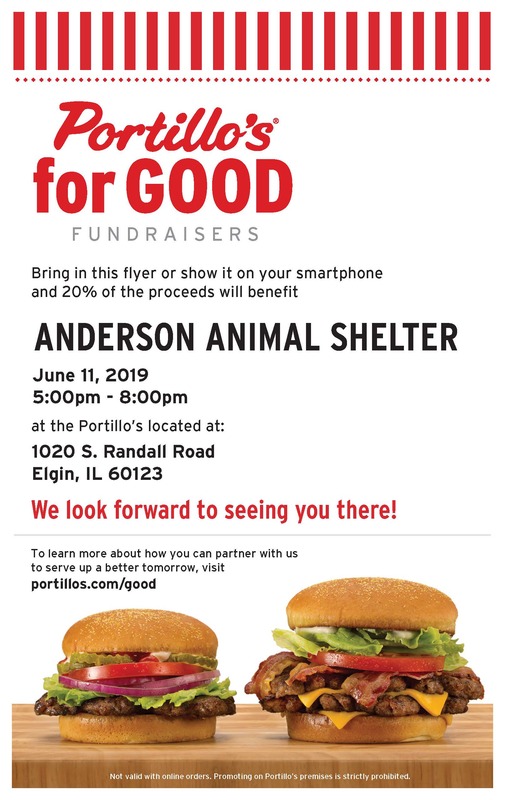 Eat at Portillo's and support Anderson Animal Shelter. Portillo's will give us 20% of all orders that show the flyer on their phone form 5pm - 8pm on June 11. 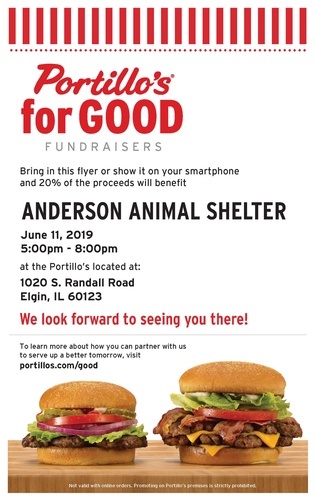 Portillo's will give us 20% of all orders that show the flyer on their phone form 5pm - 8pm on June 11.